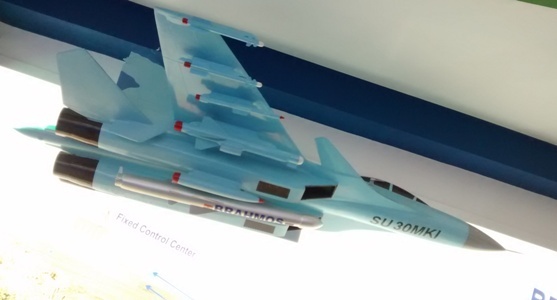 GOA: A Su-30MKI fighter jet will test a short-range supersonic BRAHMOS cruise missile in September 2016. A supersonic BRAHMOS cruise missile will be tested from a Su-30MKI fighter jet for the first time in September 2016, the head of Russian-Indian BrahMos Aerospace enterprise, Sudhir Mishra, said Monday. "This year is very important for BrahMos Aerospace; within six months we will launch our missiles from Su-30MKI. This will be a series of launches," Mishra said during the Defexpo India 2016. He added that the signing of the contract for the developing of BRAHMOS-NG missiles is expected in 2016-2017.